Donald F. Webb, 83, of Fort Wayne, died Saturday February 2, 2019 at Visiting Nurse Hospice Home in Fort Wayne. Don was born February 2, 1936 in Mercer County, Ohio, a son of the late Frank and Thera Webb. 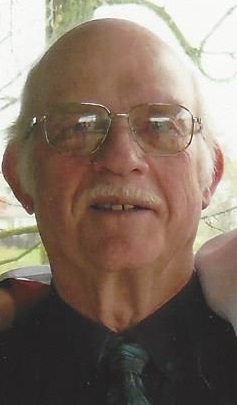 Don was a member of Trinity Lutheran Church. He was a graduate of the University of Dayton and had worked for 30+ years at Magnavox as a cost accountant. He was an electrical contractor and owned Heritage Service Company. Survivors include his children, Steve (Amanda) Webb, Jana (Ken) Smith, Mark (Danielle) Webb and Joel (Mendy) Webb all of Fort Wayne. ; special friend, Bernadine Bryant of Fort Wayne; brothers, Dr. Rev Richard (Kay) Lamb and Robert Webb; sisters, Jane (Henry) Sturm, Joan Adams and Sue Webb; 12 grandchildren and 2 great grandchildren. He was also preceded in death by a brother, Albert Lamb. A funeral service will be held Saturday 11 am with visitation one hour prior at Trinity Lutheran Church 7819 Decatur Road, Fort Wayne. Visitation will be held Friday from 4-7 pm at Fairhaven Funeral Home & Cremation Services 6557 N. Clinton Street, Fort Wayne. Burial will be held in Trinity Lutheran Cemetery. Memorial donations may be made to Visiting Nurse. Arrangements by Pinnington Funeral & Cremation Services, Auburn. To sign the online guest book, visit www.pinningtonfh.com.